“The San Francisco Japantown Merchants Association’s Obon Odori will be held on Sunday, August 7 at the Japantown Peace Plaza at Post and Buchanan Streets. The event will feature popular singer Ayako Hosokawa, an Obon Odori at 1:30 p.m. led by Madame Michiya Hanayagi and yosakoi dancing at 2:30. 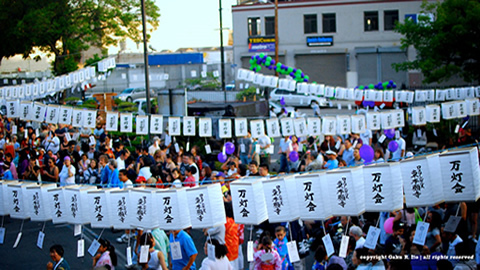 The public is invited to join in the festivities, including the Obon Odori dancing. Free dance practices for the Obon will be held on August 1 and 3 from 6:30 to 7:30 p.m. at May’s Coffee Shop in the West Mall of the Japan Center (formerly Kintetsu Mall). WHERE: SF Japantown at Post and Buchanan St.
You guys, this sounds SOOO EXCITING!! !